Similarly, Mohamed Alam (35), son of Mohamed Ismail was also arrested by Nasaka three days ago, was severely tortured in Nasaka area No.6 and became very serious where he was unable to pay the Nasaka demand money 2.5 million for release, he said. Yesterday, 15-family list from Balu Khali village and Wark Pyin village under the Pawet Chaung village tract of Nasaka area No.5, were taken away by Nasaka yesterday over the accusation that the family list owners went to nearby a Natala village to set on fire recently. The villagers were asked to choose the family lists within five days with money. The villagers have to pay at least Kyat 500,000 to one million per list; otherwise, it will be burned down. The family list is very important for Rohingya people, so the villagers will collect the money by any means, said a village elder. In Maungdaw Town, the police officer U Than Tin, U Thai lin Soe and Sergeant U Hla Myint accompanied by some Rakhine youths went to the Rohingya villages and asked to meet with them to pay money otherwise, they will set fire the houses. This group is led by U Than Tin, the police officer of Maungdaw town police station. He also boasted to the villagers that he is above the law, and no one is there to punish him. He asked money from one villager at least 5,000 to 10,000. He actively participated in the recent incident against the Rohingya community by looting goods and money from the Rohingya villagers and arresting innocent Rohingya villagers to extort money. Villagers and town dwellers have not been allowed to go out from their homes to buy rations and medicines. Many children, pregnant women, and many Diabetic patients, and some heart diseases people will die soon for the lack of medicines and food scarcity. When the villagers went to go to the market to buy food and medicines, on the way, Hluntin, police and Rakhine youths looted the goods and the villagers were also tortured severely. So the villagers do not dare to go out of their homes, said an elder from the town. The sectarian riots between Rakhines and Rohingys have been taken place in Maungdaw Township since June 8 and tomorrow July 8 will make one month period. 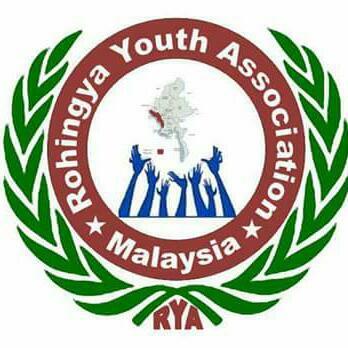 Though the State of emergency and curfews have been imposed in Maungdaw, Akyab (Sittwe) and other areas in Arakan State, the concerned authorities are still doing only against the Rohingya community with the collaboration of Rakhine youths. Why the state of emergency is imposed only to Rohingya community?, asked a local elder. The Rohingya community across the Arakan State urged the Home minister of Naypyidaw through the Kaladan Press Network to look the matter deeply, said a youth. Some arrested people from Maungdaw Township since June 8, were sent to Buthidaung Jail. It is learnt that on July 5, at night, some of the arrested people were sent to Buthidaung boat Seik (jetty) with eight trucks to transfer them to Sittwe Jail. It will be very difficult to the relatives of the arrestees to advocate them, said a trader from Buthidaung. The police and Hluntin with the cooperation of local Rakhine racist youths locked the Rohingya community in their homes without ration and medicines. It is a critical issue for the Rohingya community. This matter is not informed to the Thein Sein's government. Why they keep mum?, said a businessman.